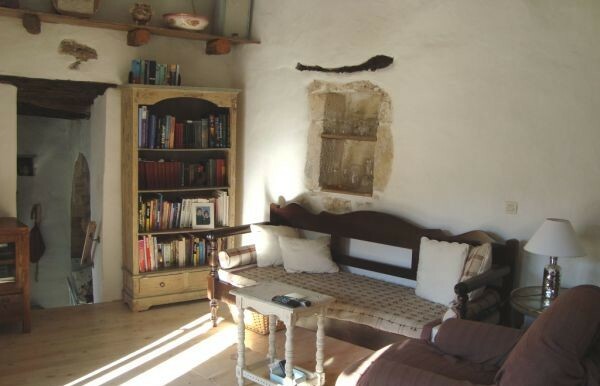 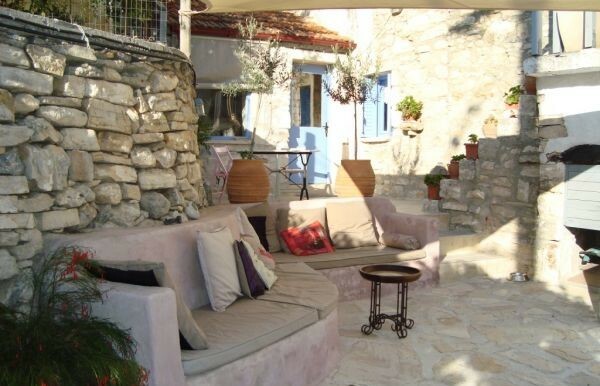 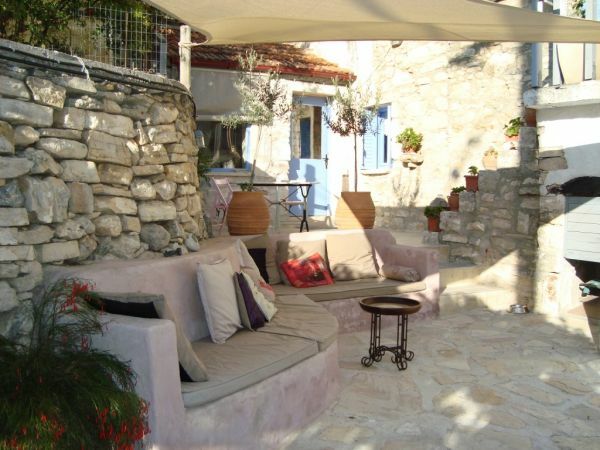 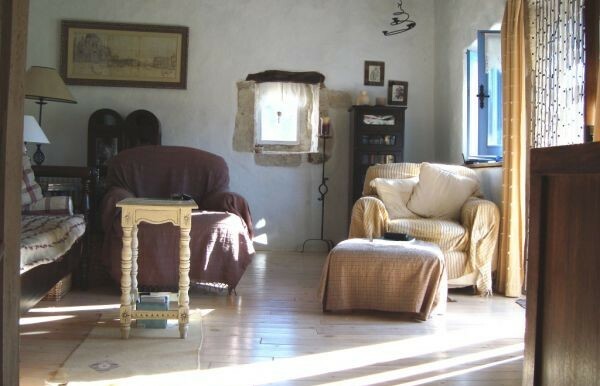 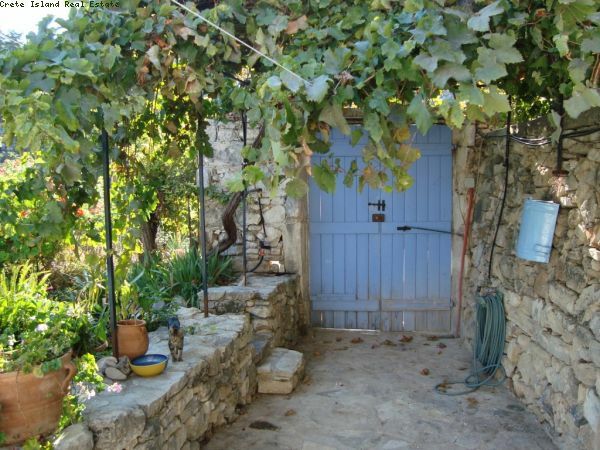 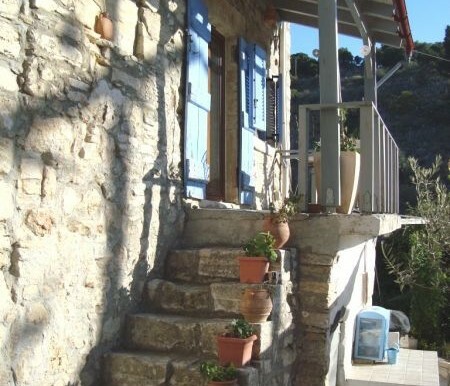 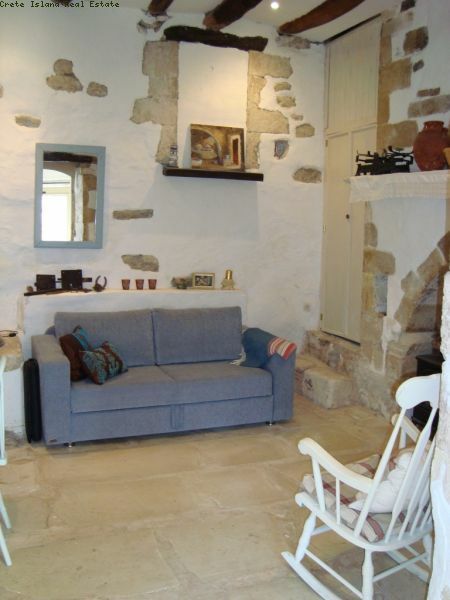 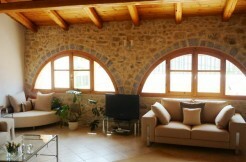 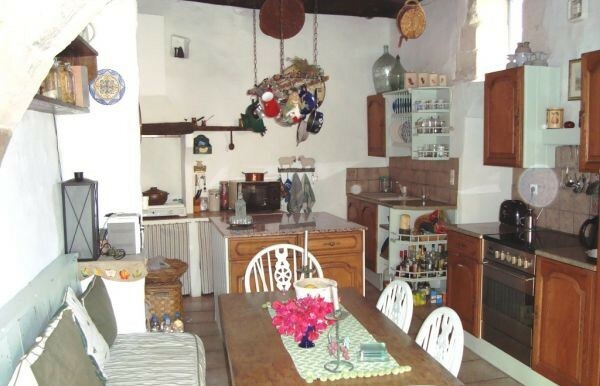 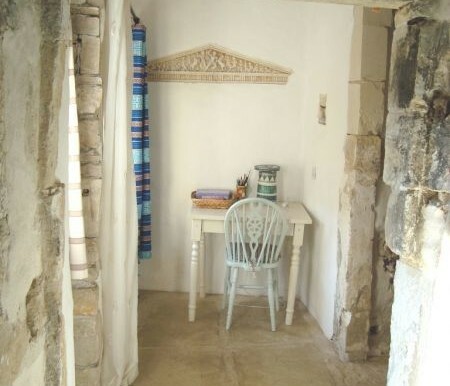 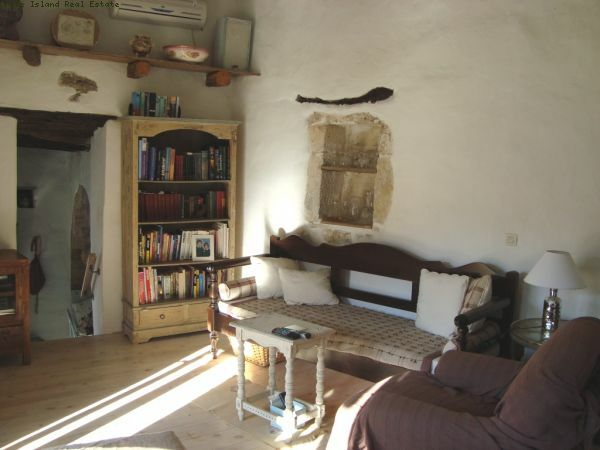 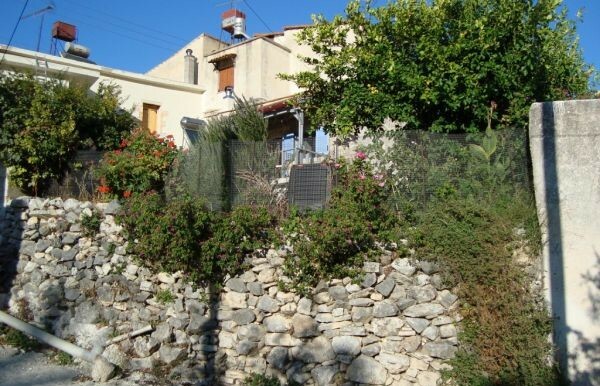 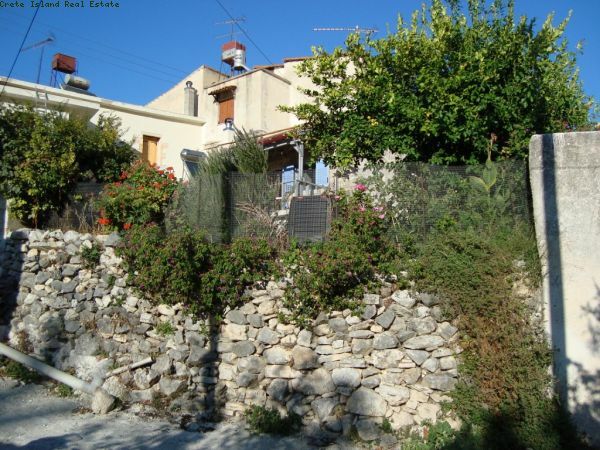 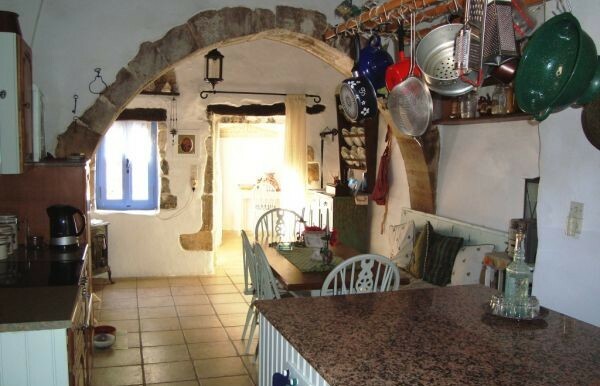 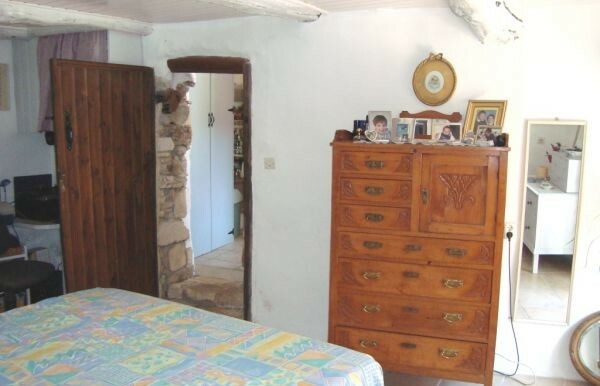 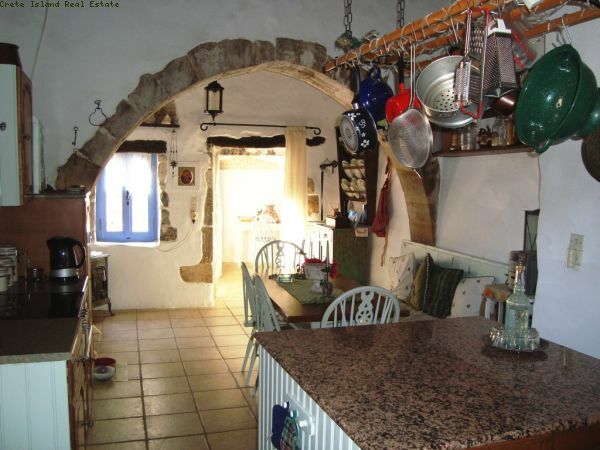 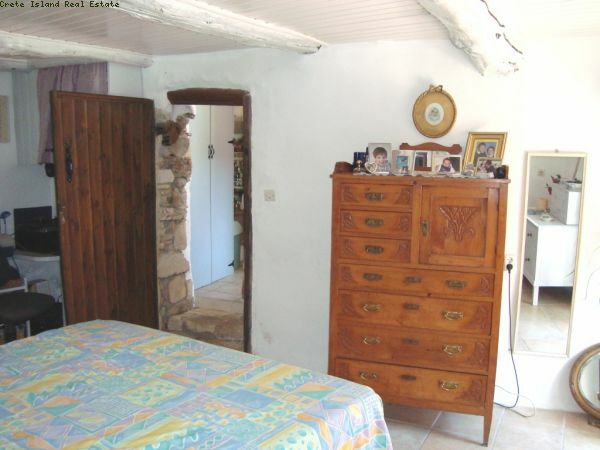 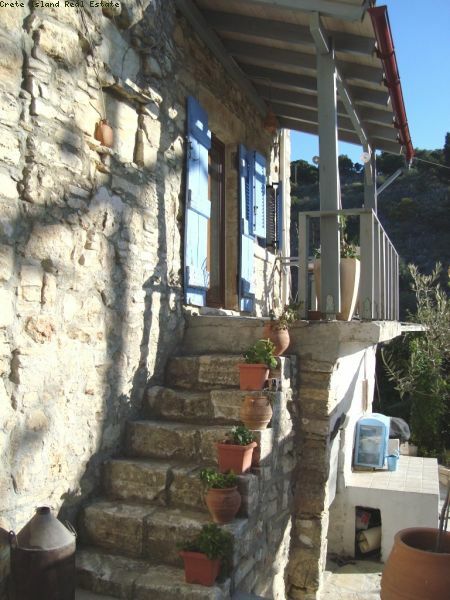 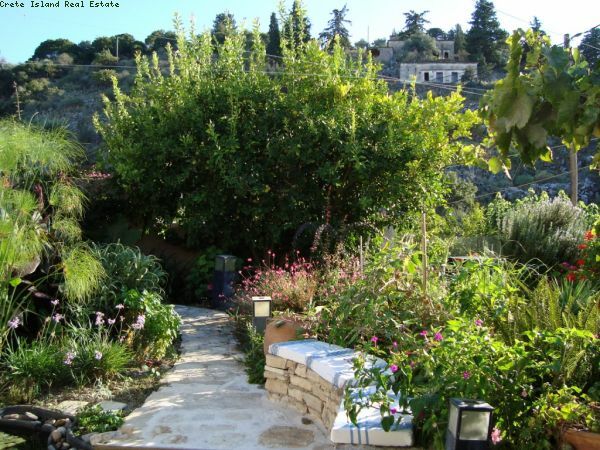 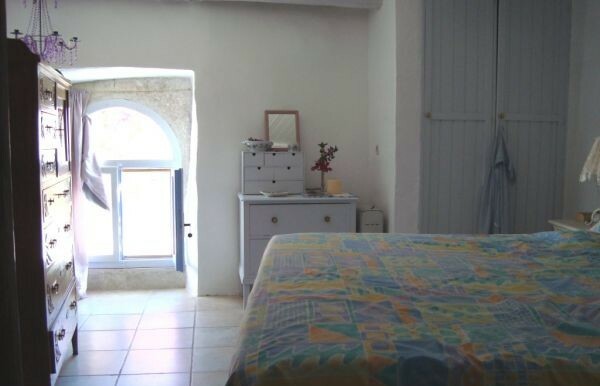 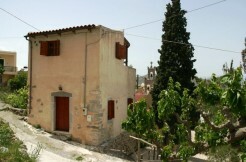 This delightful village house, which is reputed to be over 300 years old in parts, is set in the heart of a typical Cretan village with all the old features that you could think of including several stone arches, niches, a bread oven, an old well, stone floors, veranda with hillside views plus a superb courtyard. 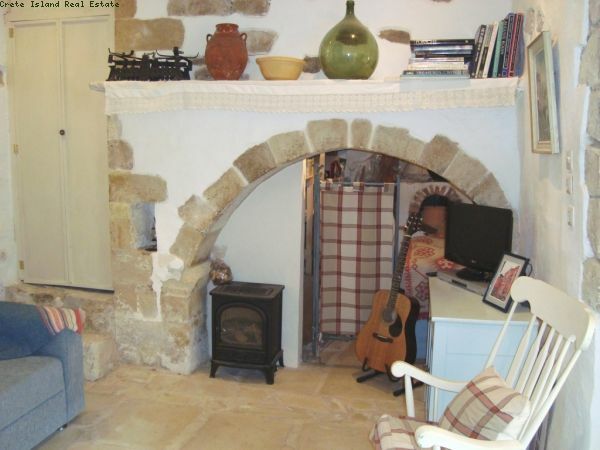 Entrance hall: a small room with tiled roof which links 2 of the main ground floor rooms – kitchen and study. 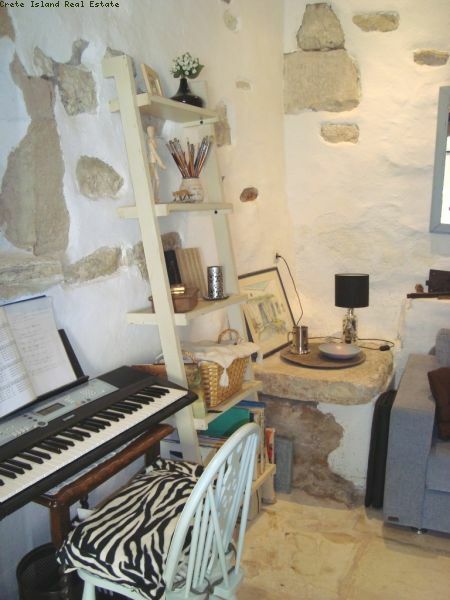 This area could also be used as a computer room. 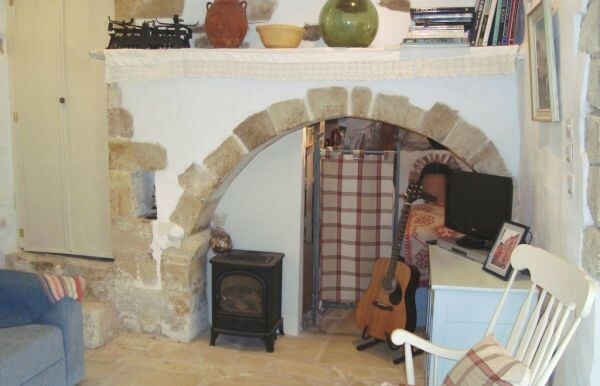 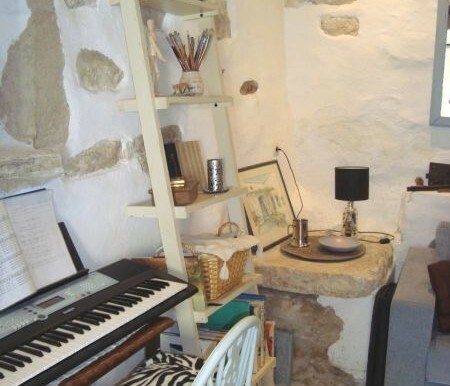 Study: charming room with several stone features – arch, niche, bread oven – which is currently in use as a music & hobbies room and occasional bedroom. 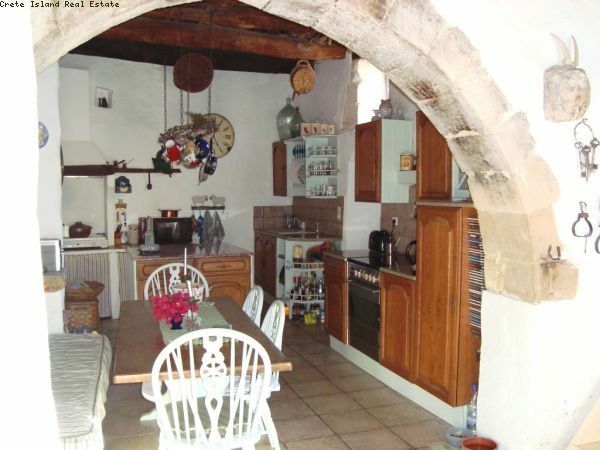 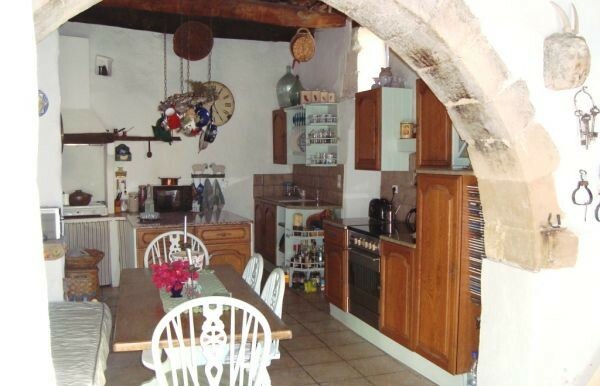 Kitchen: A delightful room with huge arch over the dining section and a spectacular random natural wood, beamed ceiling and plentiful old features. 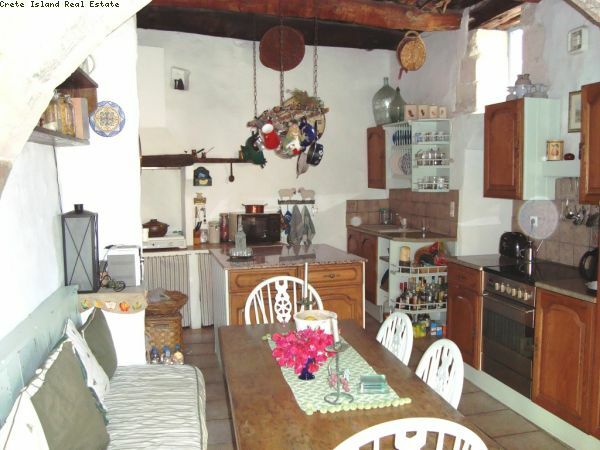 The kitchen itself is very workable with plentiful floor and wall cupboards plus an island for extra work surfaces. 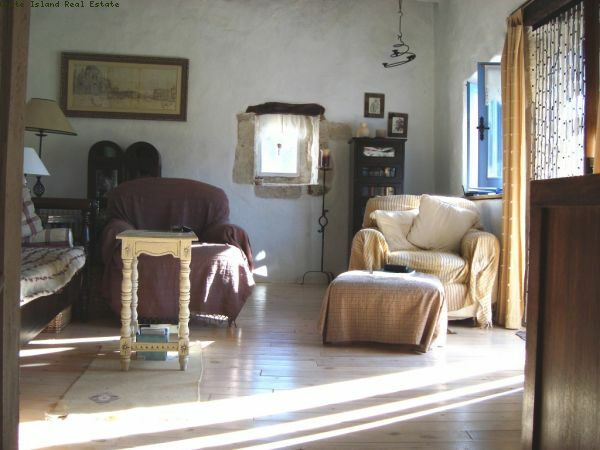 The village style furnishings, accessories & wood burning stove enhance the glorious old features of the room. 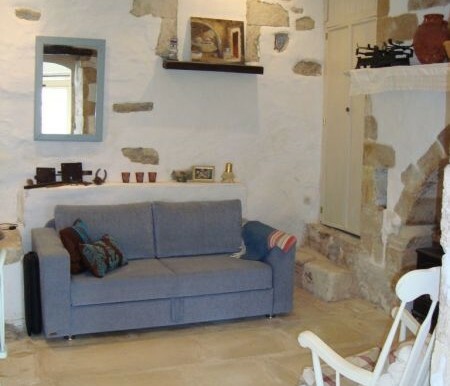 Living room: a small wooden stairway leads to a generously sized upper floor living room with a wooden floor & casement windows leading to the veranda plus stone steps to the courtyard. 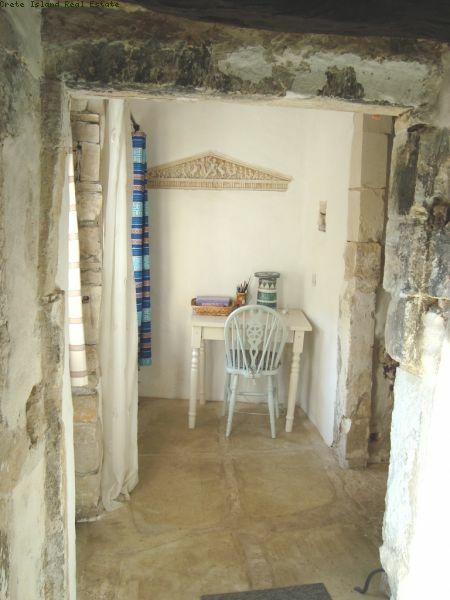 Bathroom: entrance to the bathroom is from a small hallway which also leads to the rear section of the courtyard and to the large bedroom. 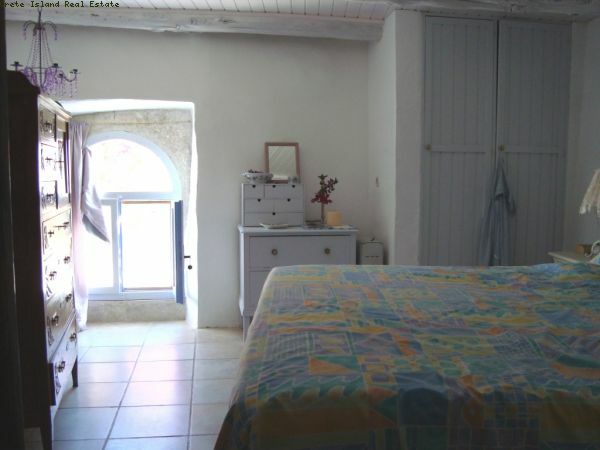 The bathroom has a bathtub, separate tiled shower stall plus vanity basin style sink unit. 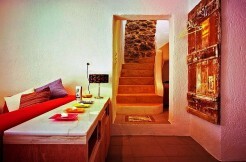 Utility hall: hallway with door to the rear courtyard which currently houses the large fridge/freezer. 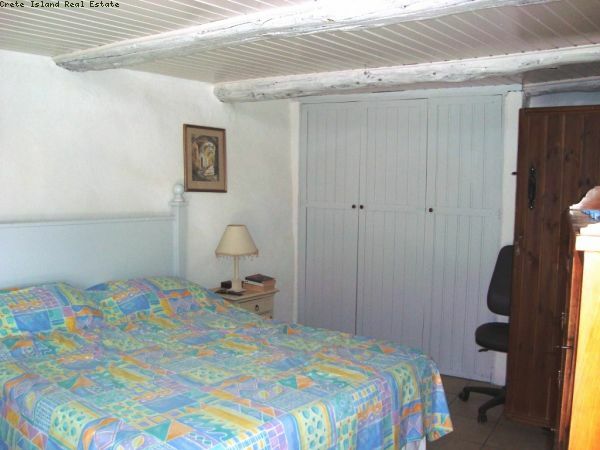 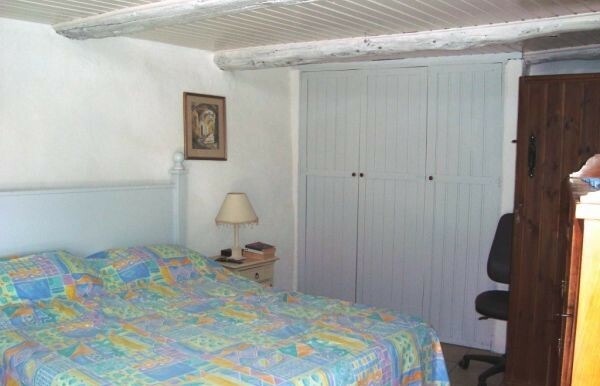 Bedroom: a delightful large room with feature window and white painted ceiling, built in cupboards on 2 walls and plenty of room for a king sized bed. 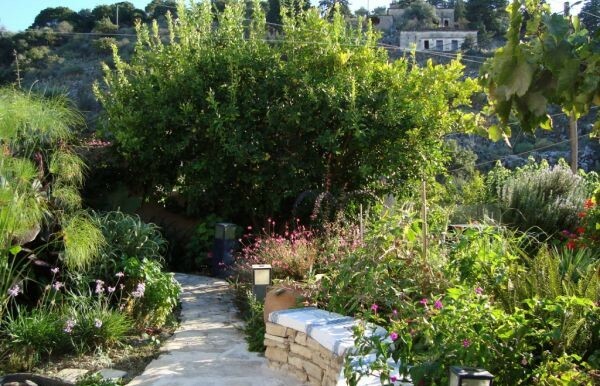 Externally, the gardens round the house are charmingly set to terraces & built-in traditional style seating with mature planting providing perfume, flowers, vegetables and vine-covered shade. 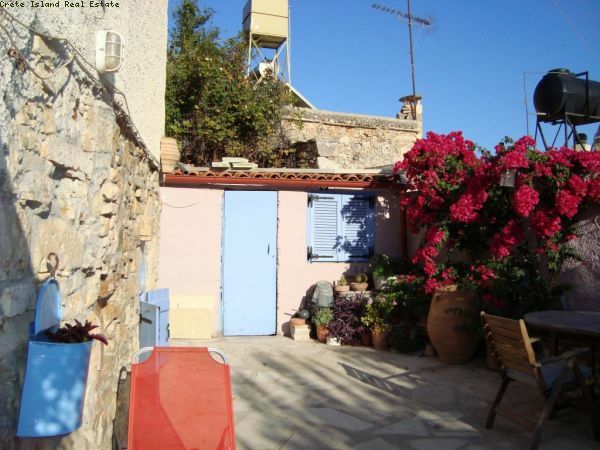 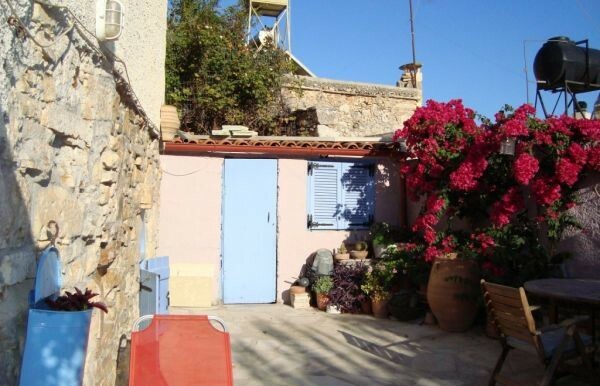 An old stone sink has been converted to an outside shower and there is a private sunbathing terrace to the side of the house which is also home to a mature bougainvillea and very practical storage shed. 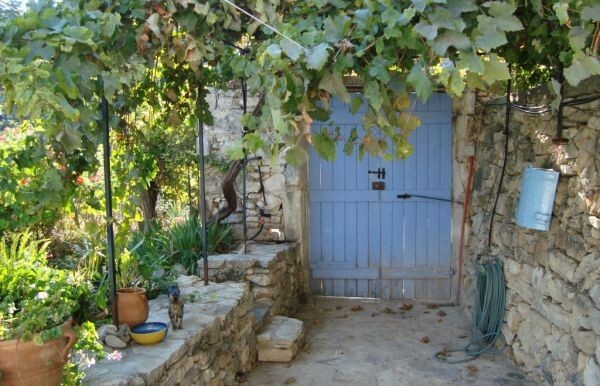 The courtyard is walled with a pedestrian entrance secured by double wooden gates and, if you have ever desired a lemon tree, this is the home of what could be the most prolific fruiting tree in Crete.